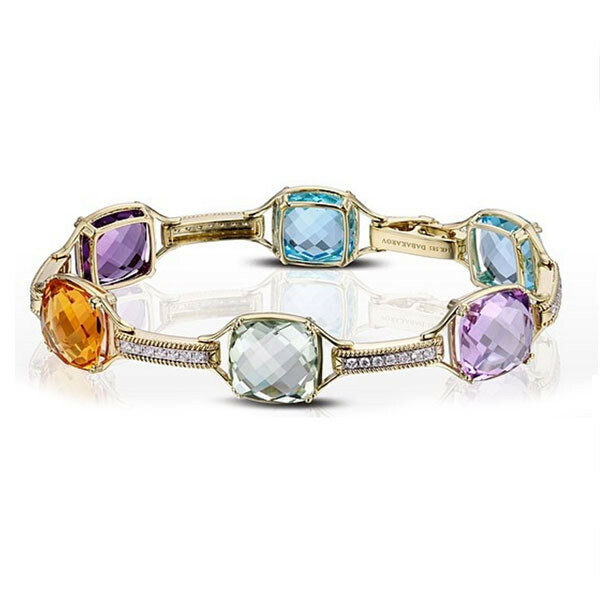 This Dabakarov bracelet seamlessly combines multi-color gemstones and diamonds. Amethyst, lemon quartz, blue topaz, citrine and diamonds work seamlessly, and the shades of purple, yellow, blue and orange will complement many wardrobes. A beguiling bracelet from Dabakarov, this wear-with-all piece will be a glorious go-to in the jewelry box.